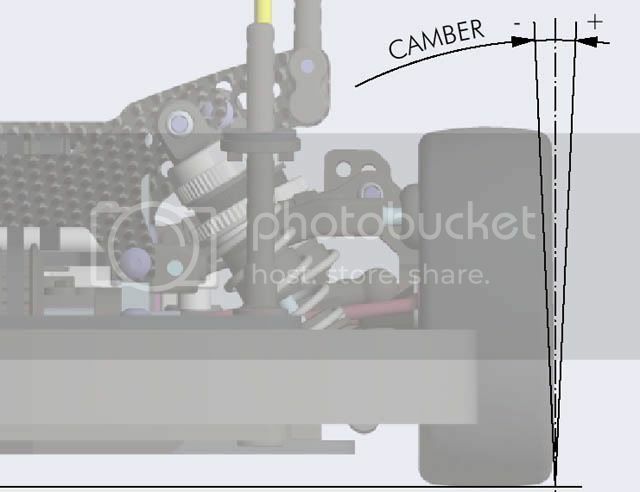 what is camber and caster? 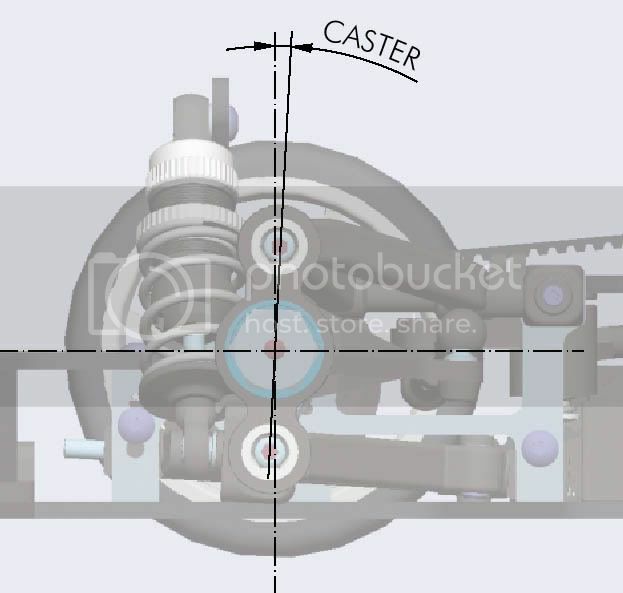 Caster angle is the angle between an imaginary line connecting the top pivot ball and the bottom pivot ball of the steering block, with respect to a line perpendicular to the ground. Caster angle affects on- and off-power steering, as it will tilt the chassis more or less depending on how much caster is applied. Less caster (more vertical) increases OFF-power steering INTO a corner, but decreases straight-line stability. More caster (more laid-down) increases ON-power steering OUT OF a corner, and increases straight-line stability, but makes the car harder to turn in. This describes the angle the wheels ride relative to the ground when looked at from the front or back. Negative camber means that the tire leans inward at the top. Positive camber means that the tire leans outward at the top. Camber affects the car's traction. In general, more negative camber means increased grip since the side-traction of the wheel increases. Never use positive camber, and never use more than 2.5-degrees negative camber. Last edited by herman; 2008.03.27 at 10:37 PM. what is toe in / toe out?